Three junior librarians, Laura Bang, Robin Bowles and Kristyna Carroll, were promoted from Librarian I to Librarian II, University Librarian Joe Lucia recently announced. “They have each made a substantial contribution to the success of the Library, and all of them have been engaged professionally at a national level in advancing new ideas or promoting new initiatives that will help shape the future of academic libraries,” Lucia said. 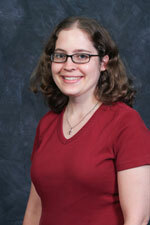 Laura Bang, curatorial assistant in Special and Digital Collections, came to Falvey in 2010. Bang hires, trains and supervises students and staff in the Digital Library. She also develops and mounts the Special Collections exhibits, both online and physical, and catalogs Special Collections acquisitions. She has a master’s degree in library science from the University of Maryland. Bang’s undergraduate degree is in comparative literature from Bryn Mawr College. Robin Bowles, Nursing and Life Sciences librarian, was appointed in 2009. 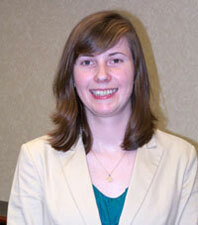 She serves on the Biology/Nursing/Environmental Studies and Science/Technology subject teams. 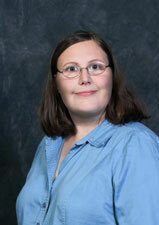 She earned her master’s degree in library and information science from Drexel University. Bowles holds a bachelor’s degree in liberal studies with a concentration in science and mathematics from West Chester University. Kristyna Carroll, a research support librarian, graduated from Villanova with a bachelor’s degree in sociology and honors. She returned to Villanova in 2010 after graduating from Drexel University with a master’s degree in library and information science. Carroll serves on the Geography/Political Science/Naval/Cultural Studies and Communication/Education/Psychology/Sociology subject teams. Librarians, like faculty, are appointed through the Office of the Vice President for Academic Affairs. A librarian seeking promotion submits a dossier to the Library Promotion Committee comprised of librarians who hold the rank of Librarian II or higher. The Committee, chaired this year by Taras Ortynsky, descriptive services librarian, Resource Management Center, makes its recommendation to the University Librarian who sends his decision to the VPAA who takes the final action.